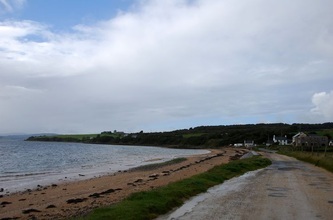 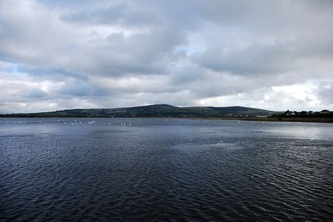 Inch Island a small island of about five square miles, lies just off the Donegal coast at Burt at the start of the Inishowen peninsula and is accessed by a causeway road. 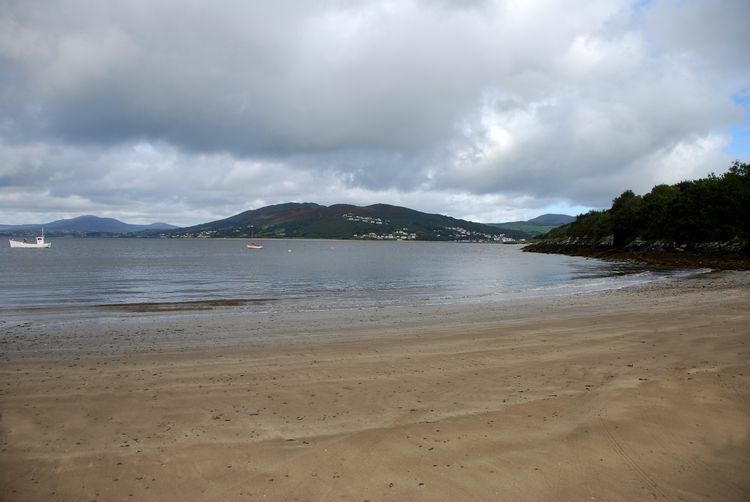 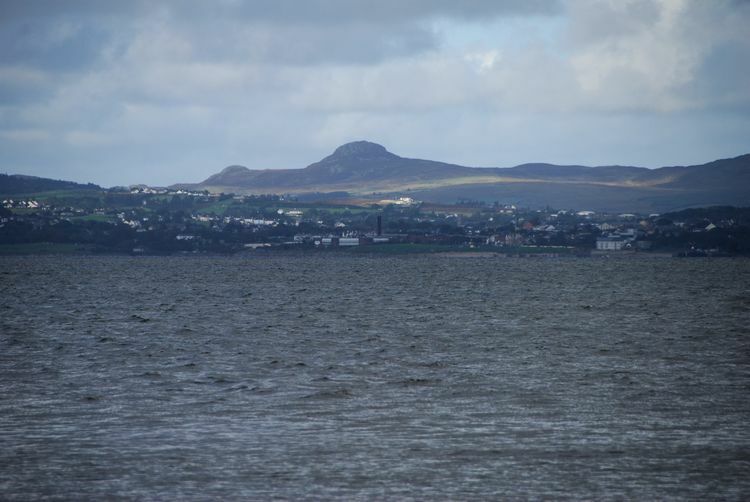 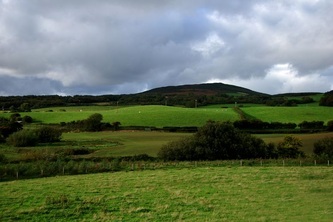 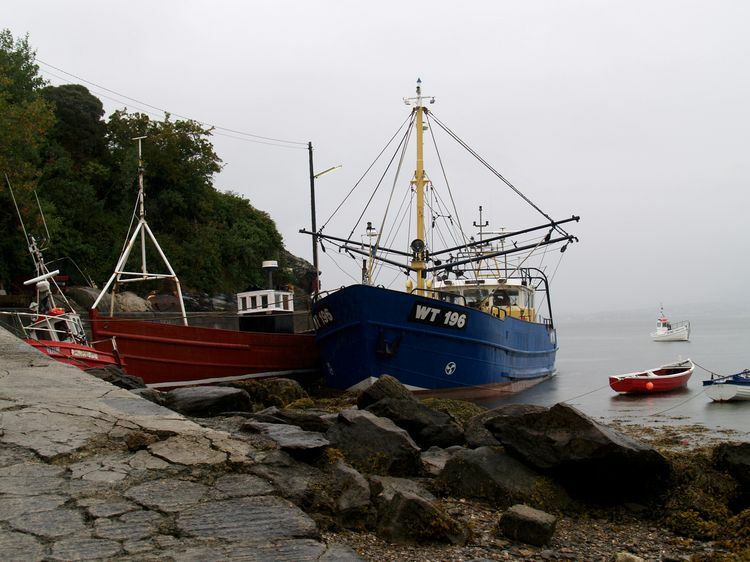 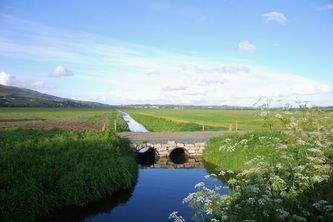 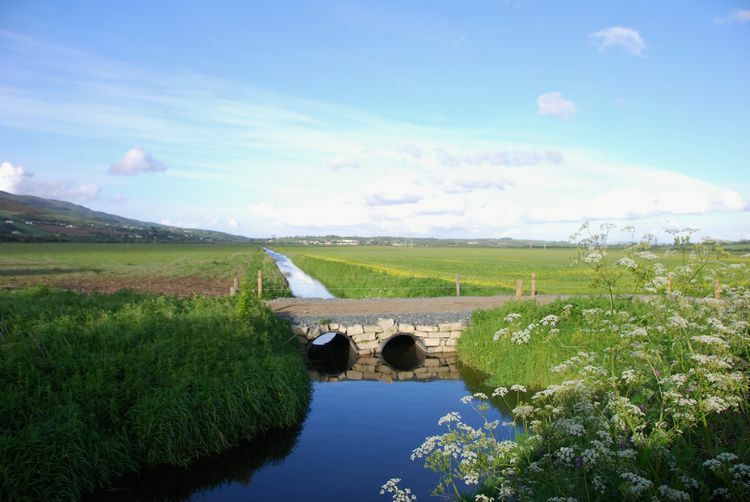 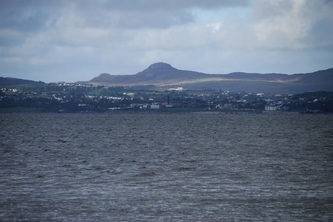 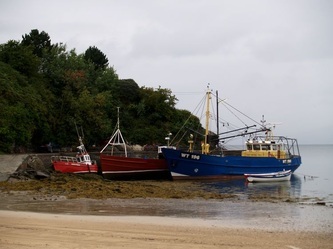 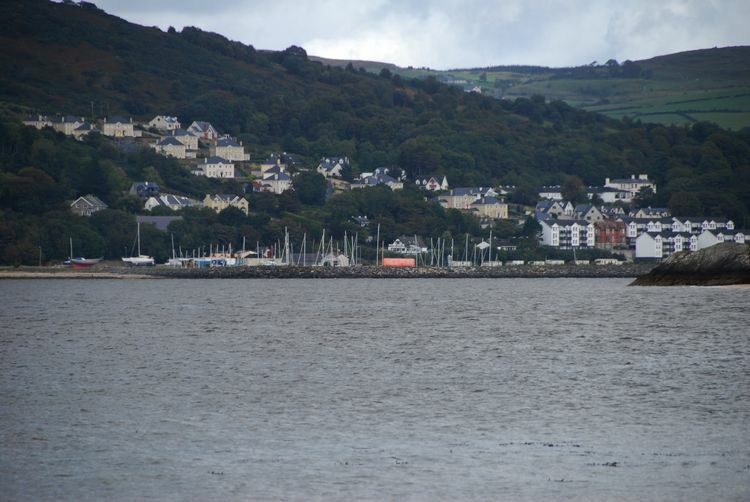 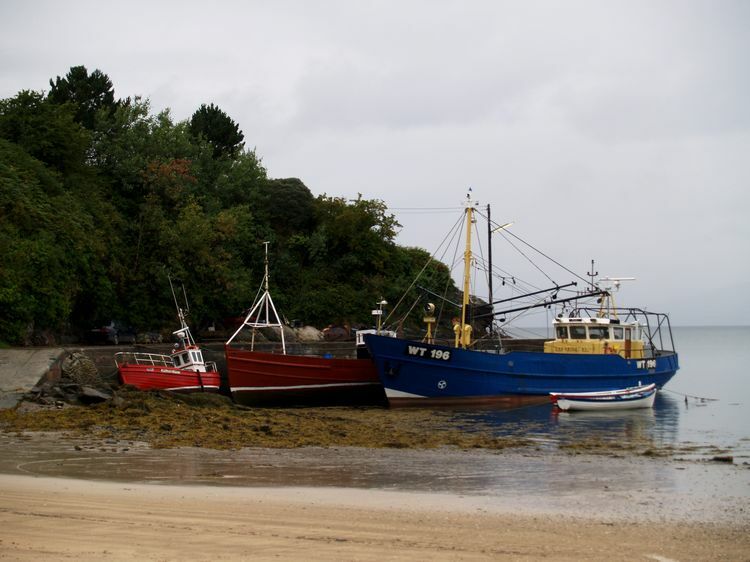 It is a quite place with beautiful scenery: from the Burt side looking to the ancient fort of Grianan Aileach high on the hill above Burt, to views across the Swilly and views to the mariana at Fahan and Inishowen's main town, Buncrana. 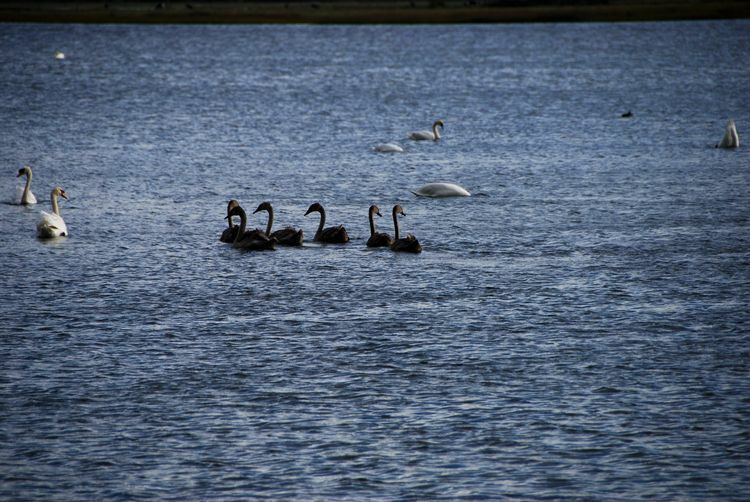 The island is a wildfowl sanctuary and has large man-made lake filled with swans, geese and many other species of bird (see below). 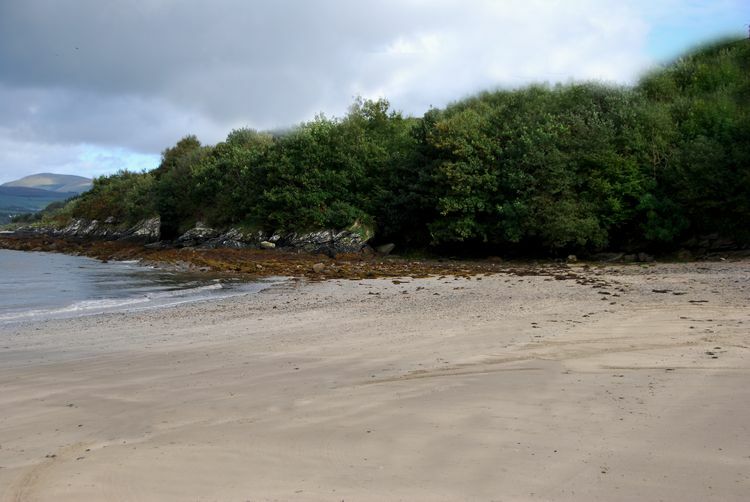 There are the ruins of an old castle on the island which was once the property of the O'Doherty Clan of Inishowen. 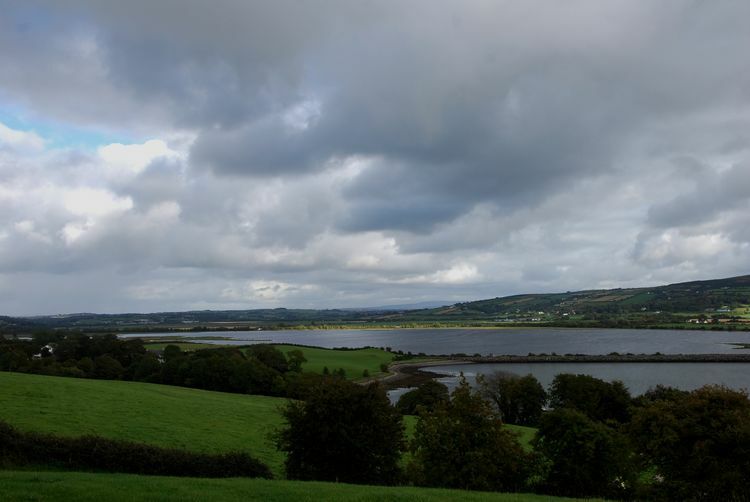 The castle is built on a cliff edge overlooking the Swilly and dates from about the mid 15th century and although it is mostly ruins there are parts of it still in good repair. 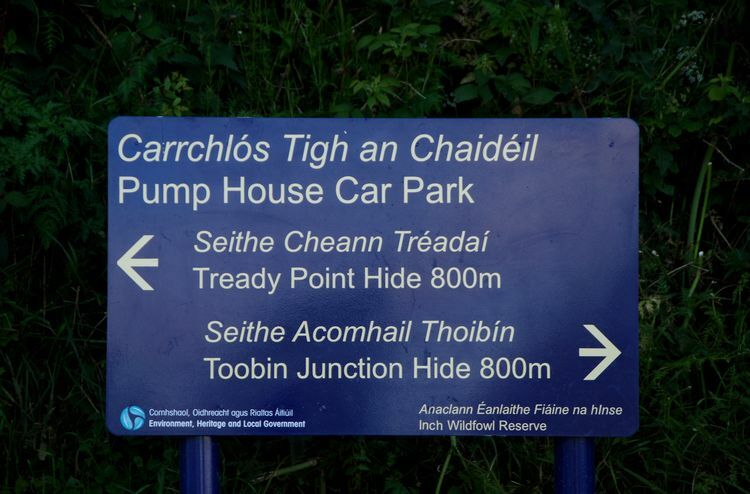 (The castle is on private property and permission to walk to it must be given prior to trying to get close to it). 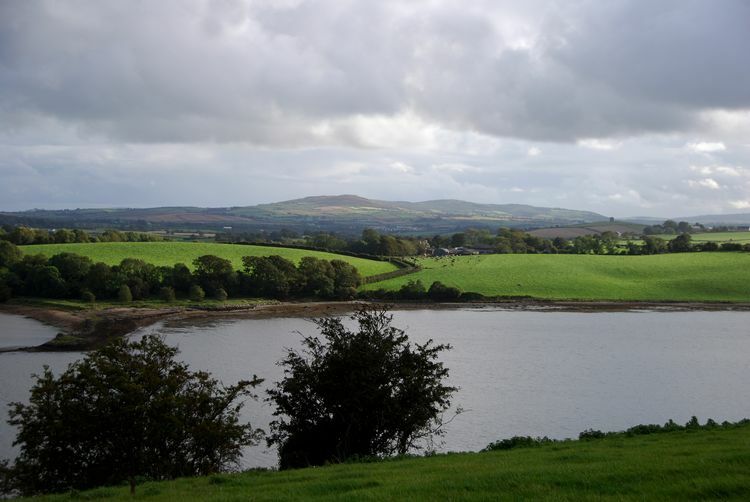 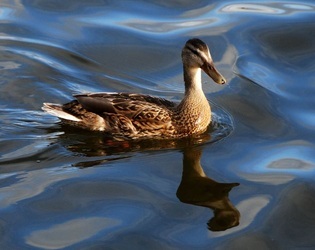 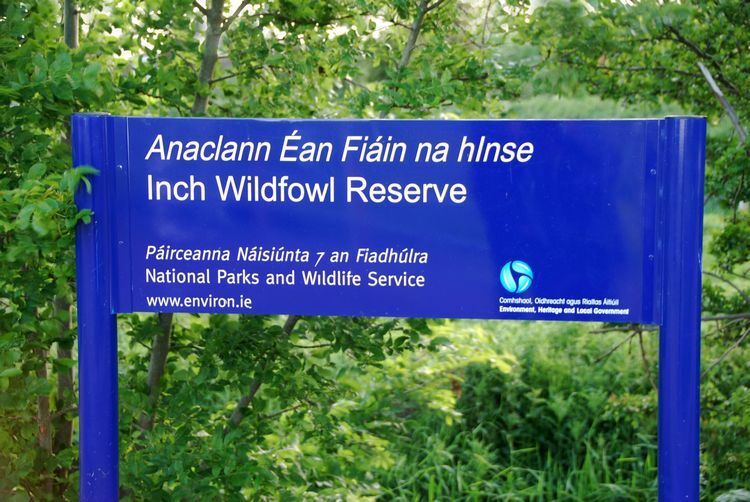 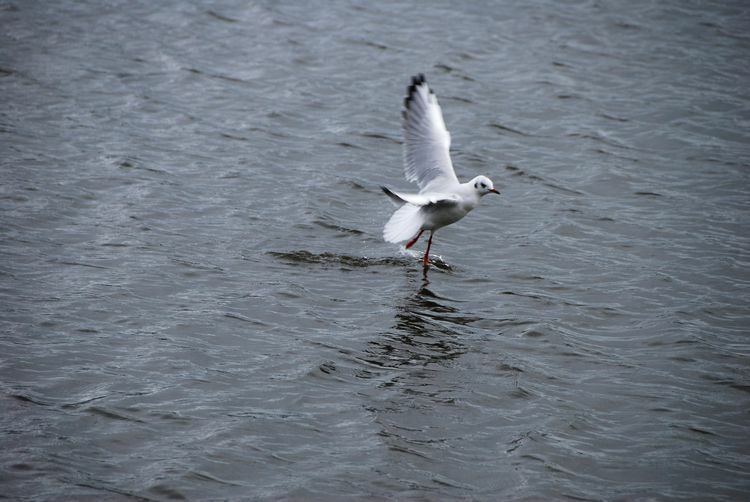 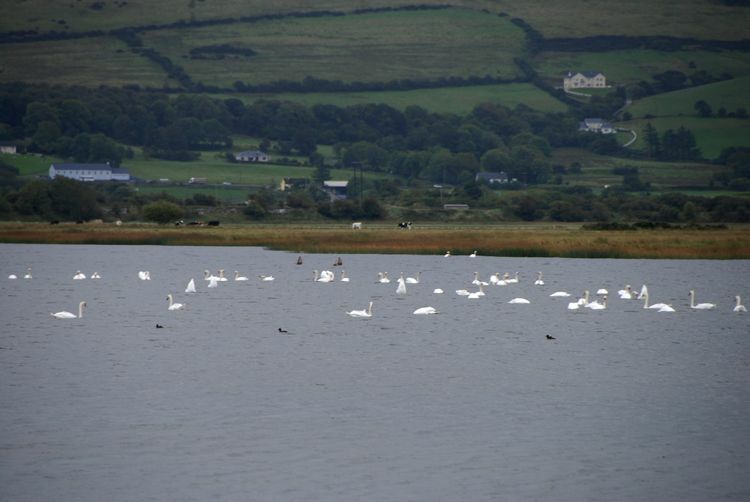 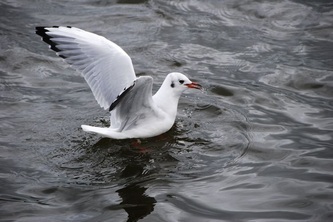 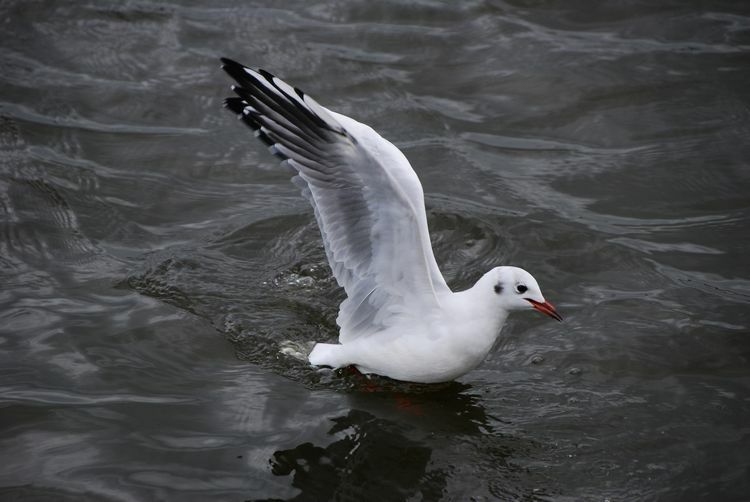 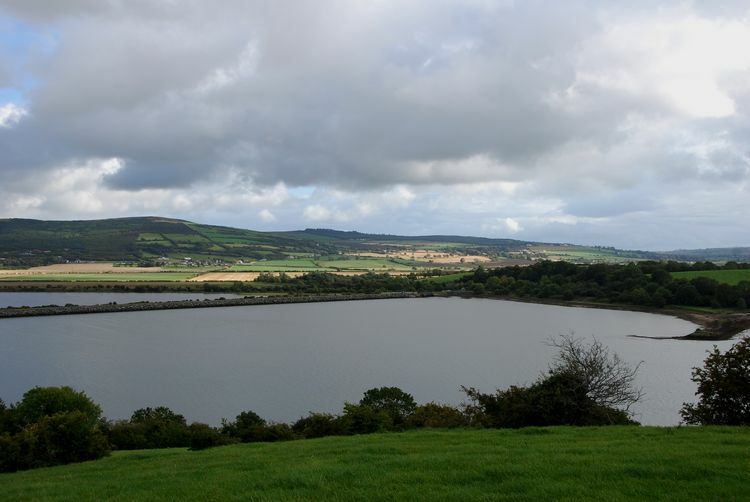 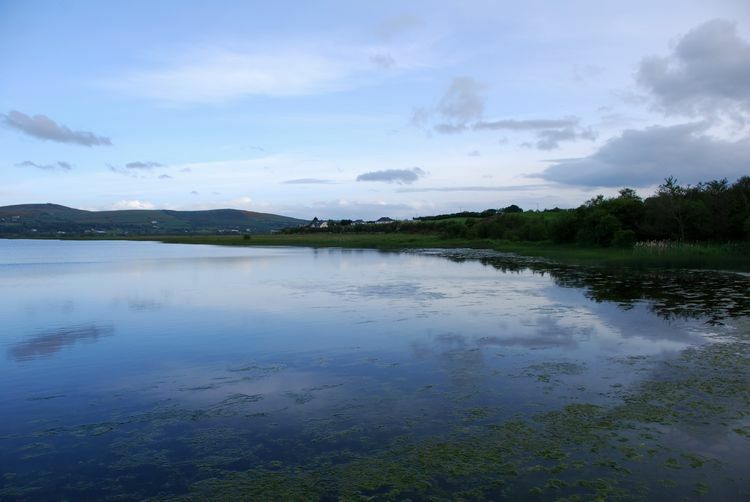 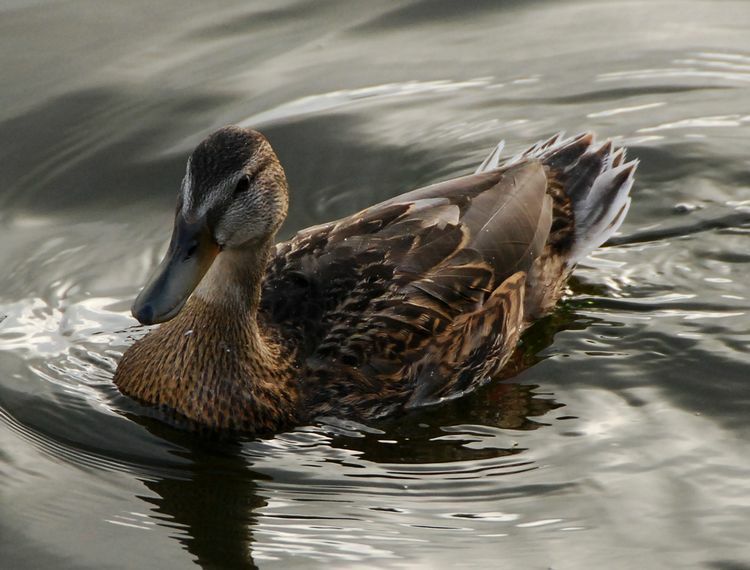 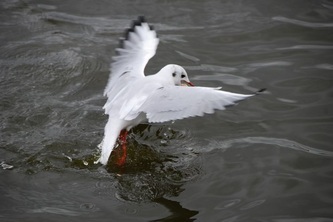 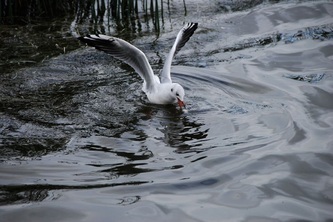 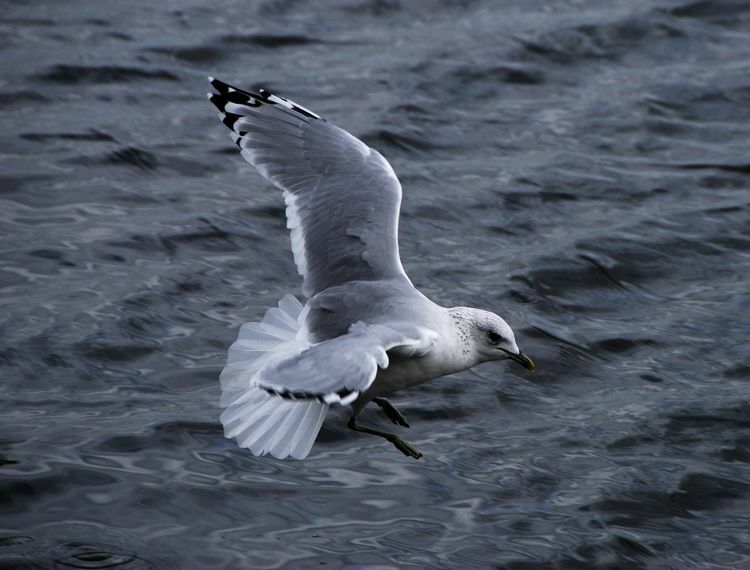 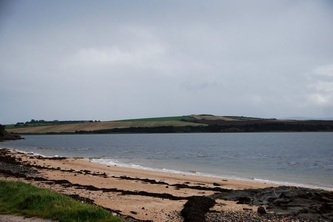 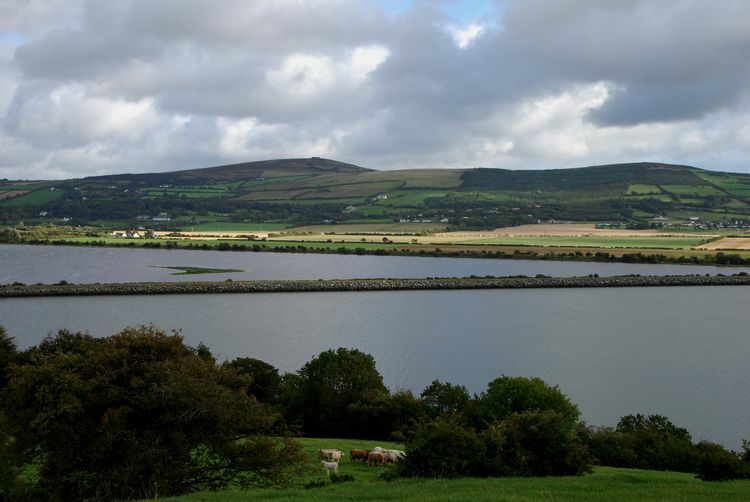 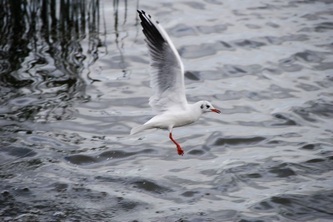 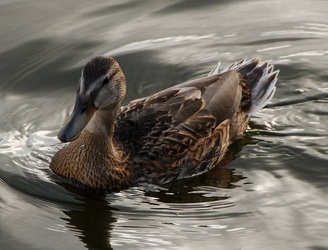 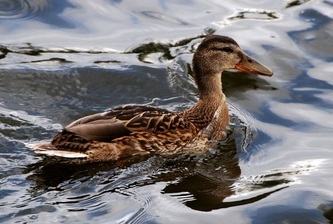 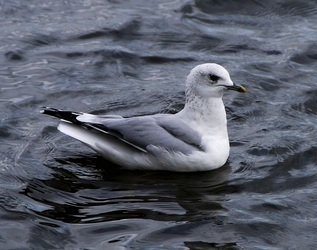 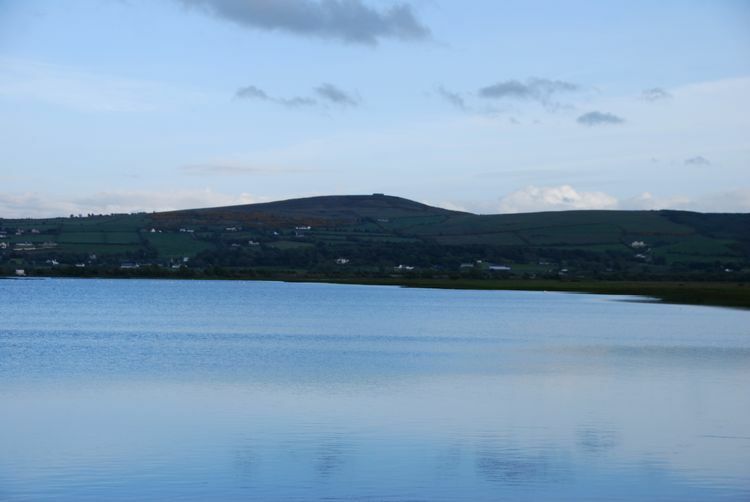 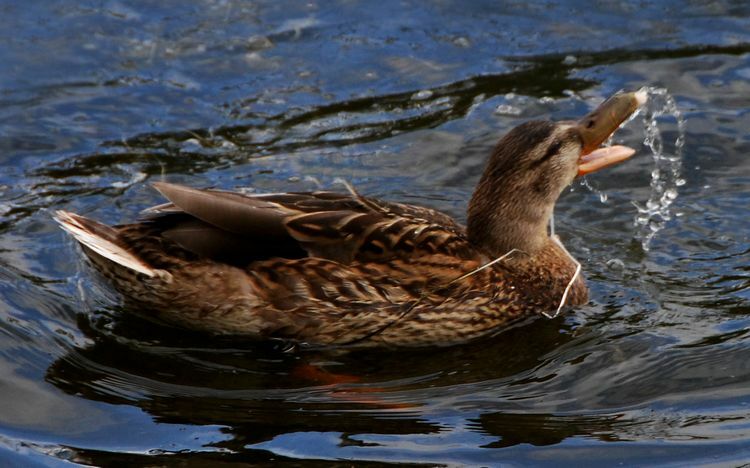 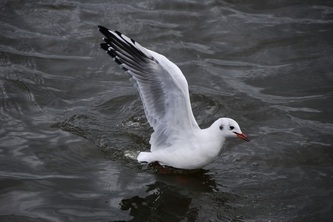 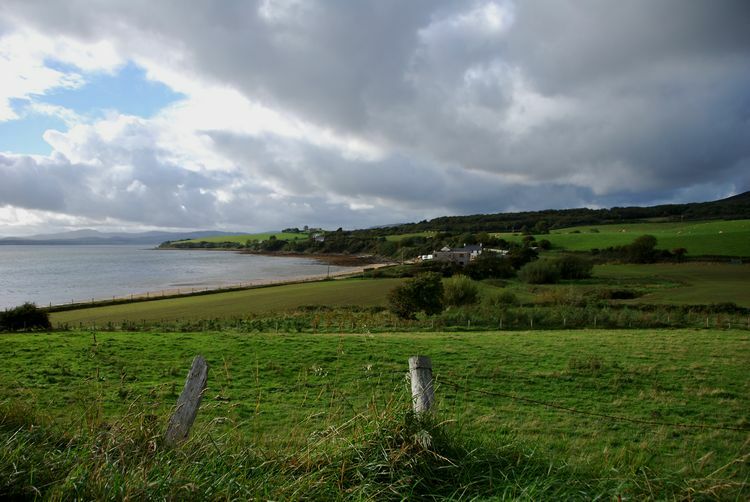 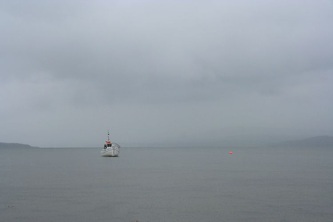 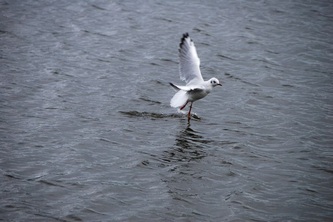 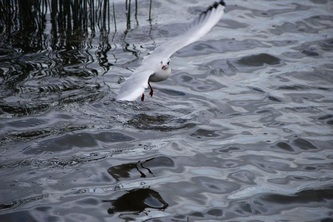 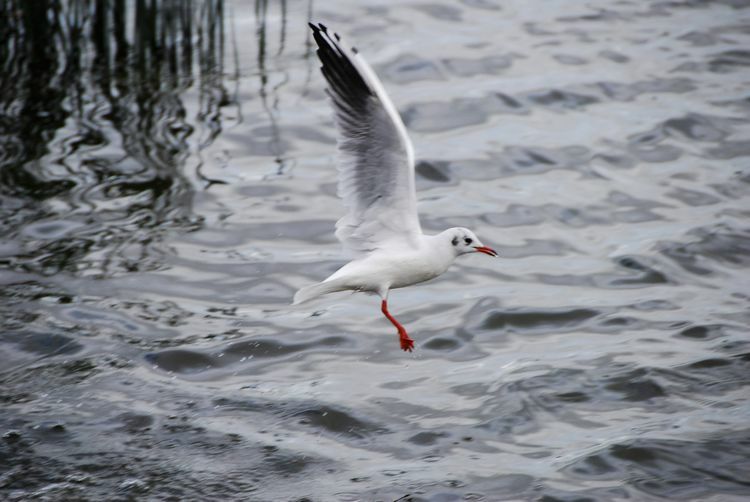 There are many species of bird to be sighted on Inch Island. 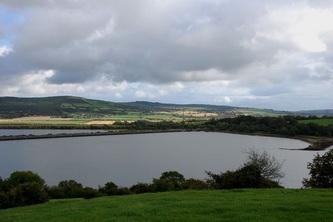 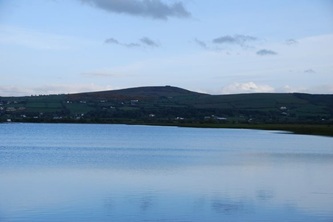 The man-made lake, Inch Lake, is a fresh water lake using water run off from the dykes draining the surrounding lands of the Big Isle. 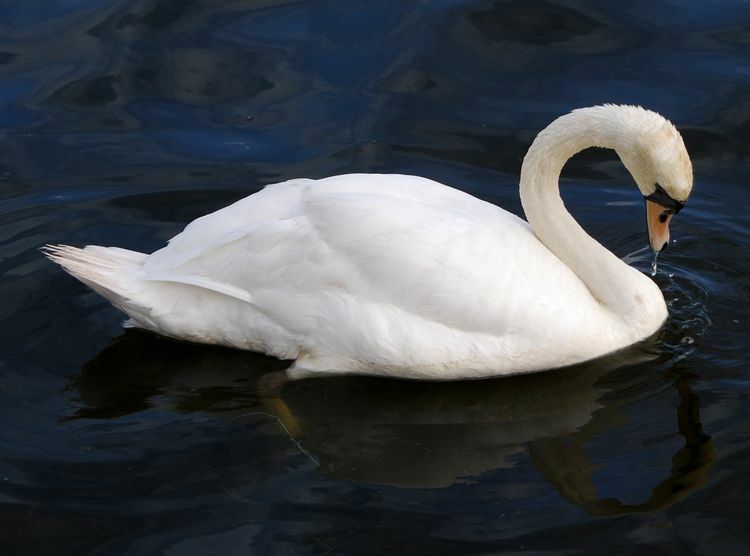 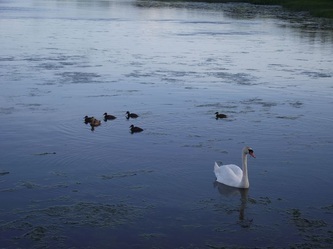 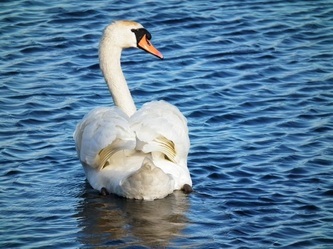 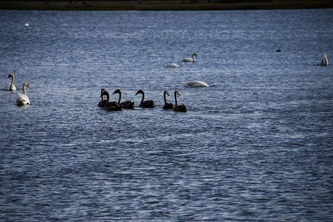 The lake has a large population of swans including Mute Swans, Bewick Swans and Whooper Swans, Mute Swans being the most prevelant. 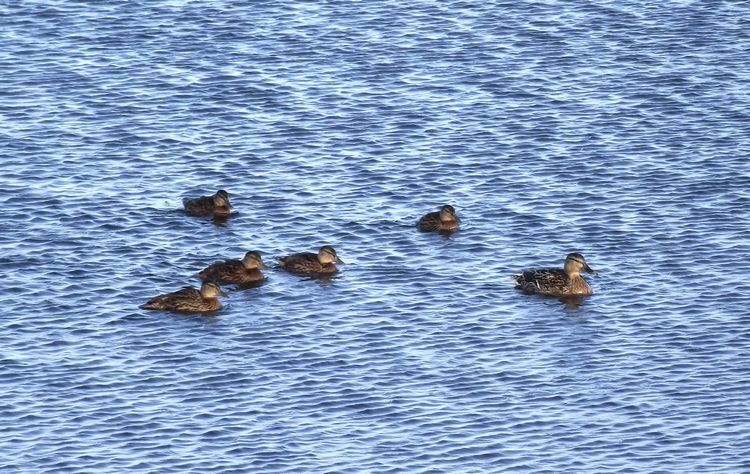 On the lake too there are plenty of other water birds including coots, ducks, gulls, geese (Barnacle, Brent, Canada, Greylag, Pink Footed and White Front), Grasshopper Warbler, Sedge Warbler, and Reed Bunting. 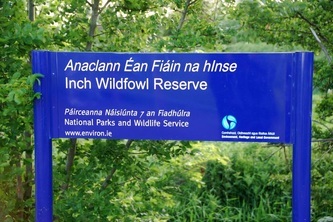 Along the waterways or dykes there are two hides for "tweeters" to use to see some of the many species of bird there including Kingfishers. There is also the chance to see an otter or two. 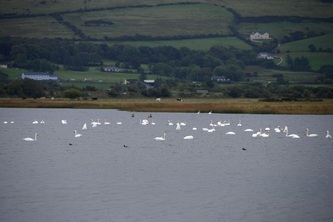 Other species of bird seen on Inch Island include Bar Tailed, Curlew, Knot and Redshank. 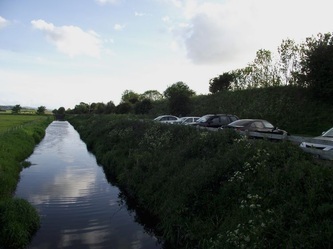 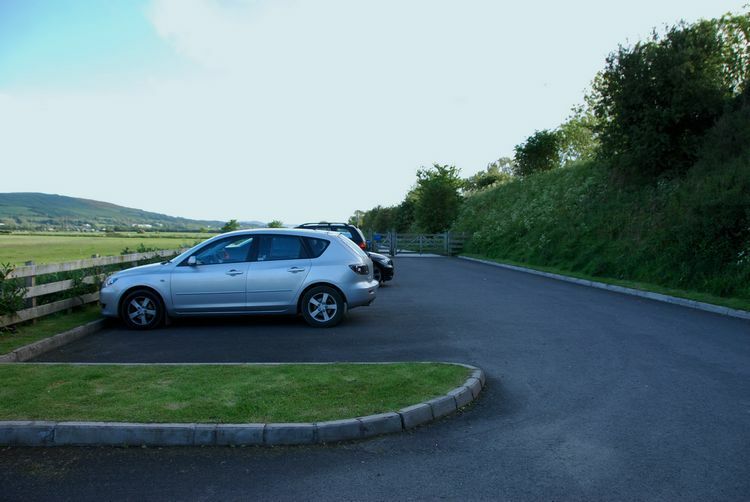 There is car parking beside the waterways and this area is also used for people taking scenic walks along one of the two walk-ways there.